Discovering a blockage in your outdoor drain can cause significant problems. So, it is important to fix the problem as soon as possible. Many blocked drain issues can be solved with minimal effort and very standard tools you’ll likely already own. 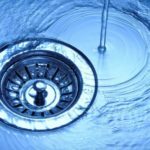 So, if you don’t mind getting stuck in and possible a little bit dirty, here are a few drain unblocking tips you can try before calling in the blocked drain professionals. If a drain is on your property or within the boundary, it is your responsibility to ensure it is well-maintained. And should you notice any of the above signs, it is likely you have a blocked outdoor drain on your hands. So, your next step should be to unblock the drain. Protective gloves: always wear a pair of protective rubber gloves so that you protect yourself from any bad bacteria and don’t make yourself sick. Protective clothing is also important as this job can get messy. Rope: A piece of strong rope can be particularly helpful for removing a drainage manhole cover. A Rubbish Bag: When you’re clearing your external drains of blockages, it is helpful to keep a plastic bag close by so that you can easily discard of anything you remove from the drain as you work to unblock it. Drain Rods: One of the most necessary and important drain unblocking equipment pieces you’ll need, a set of drain rods help break up blockages, pushing them through your drains so that they can be washed away. Garden Hose: Once you’ve removed all blockages from your drains, it is important to clear them out using water. Ensuring you have a garden hose close by is a great way to effectively wash out any debris. Also known as ‘inspection chambers’, manholes are how drainage professionals access the underground drainage system. These can be easily inspected and cleaned when required to ensure your outside drain is not prone to regular blocking. Rain gutters are the half-pipes found beneath a property’s roof and are designed to prevent water from seeping into your home by instead sending the water away from the exterior walls and into the downpipes. The first step to unblocking your outside drains is determining what the problem is and whether it can be easily fixed. Just as the drains inside your property can become blocked by hair and makeup products, soaps, and oils, your outside drains can become blocked with leaves, debris, grease, and dirt. So, it is important to assess and determine, through visual inspection. Start by removing the drain cover – you can do this with a screwdriver. Alternatively, it is possible to tie a piece of rope around the handle and give it a strong tug to see if it budges in any way. 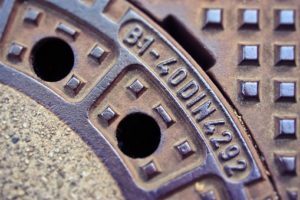 Lifting a manhole cover can be extremely physically demanding and undertaking this task can result in serious injury. So, it’s important you remove a manhole cover safely. The first step to unblocking an outside drain is to visually inspect the pipes, inspecting the area you think is blocked and trying to understand what is causing the problem. In most cases, the cause of a blocked outside drain is a build-up of debris, leaves, and silt that has collected in the pipes. If you’re experiencing all the symptoms of a blocked drain but there is nothing immediately visible upon visual inspection, it could be that the blockage is deeper inside your drainage system. It’s at this point you will need to use drain rods to unblock your outside drain effectively. To do this, it is important you wear protective gloves. Then, push the roads into the drain chamber and get going until you feel like you’ve come up against a blockage. Working slowly, so as not to cause any damage, rotate the rods clockwise and push them forwards. Don’t be tempted to spin the rods in an anti-clockwise position as this could result in you unscrewing the plunger attachment. Instead, keep pushing the rod through the blockage to break up any debris or build-ups in the pipes, restoring efficient flow. Now that you’ve unblocked the drain, flush some clean water through it. 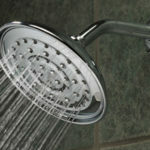 This will help rinse away any excess debris and will prevent the blockages from happening again. 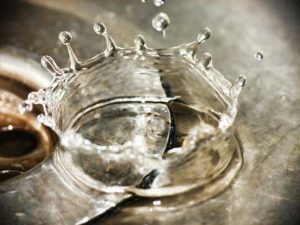 It is also helpful to run the taps in your home for a couple of minutes to determine whether the water is running and draining normally or whether the water is slow draining. If you cannot identify the cause or location of the blockage, it may be that you require the help of the experts. The qualified and experienced drainage experts at ASL Limited can tackle any drainage challenge they are faced with. Using state-of-the-art technology and drain unblocking equipment, our teams are experts at unblocking outside drainage systems. We use a variety of drain unblocking methods to unblock your outside drain, such as drain jetting, drain unblocking, and drain rodding. When it comes to keeping your drains clear of blockages, prevention is always significantly better than cure. If you don’t want your outside drains to become blocked, there are 10 ways you can prevent drain blocking to future-proof your drains against any future problems.